In a party line vote, the House Administration Committee voted today to kill the Election Assistance Committee, which sets federal standards for voting technology. If the bill becomes law, it could affect efforts to protect US elections from cyber attacks, further indicating that Republicans aren’t all that bothered by the threat of election hacking. The Election Assistance Commission is charged with testing and certifying voting technology, and creating best practices and guidance for states on their voting systems. It was created by the Help America Vote Act, after the chaos of the 2000 election showed the need for better and more standardized electronic voting systems. The agency doesn’t make rules or enforce requirements, but does certify technology. It also sets standards that states can use if they choose, and it provides grants for research into improving voting technologies. Its budget was $10 million in 2013, making it practically a rounding error in federal budget terms. Bills that would eliminate the EAC have been introduced in previous years, but it’s more of a threat now with a united Republican congress and a Republican president. It’s hard to imagine why Republicans would want to eliminate a small agency with such a limited budget and remit, particularly given the growing concern over foreign hacking of US elections systems. The EAC itself was hacked in 2016, and voter registration systems in multiple states were targeted by hackers. 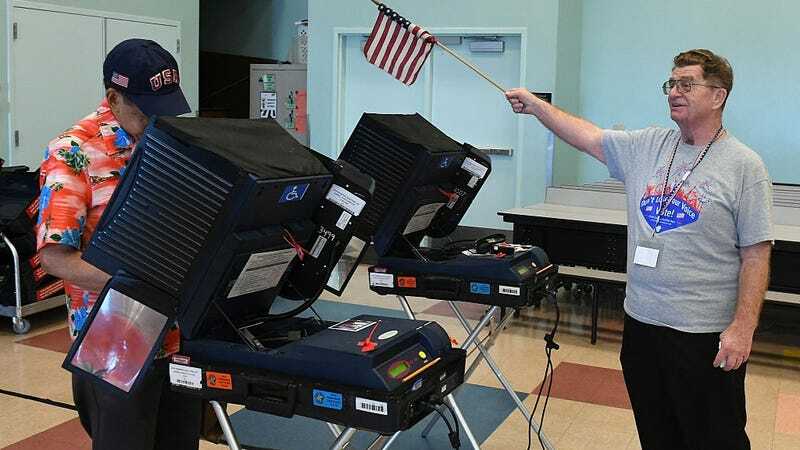 None of these incidents caused the elections to be compromised, but future attempts at hacking could be more successful without the EAC setting national standards for election security and performing tests on voting machines. And hacking isn’t the only problem: according to the Brennan Center, a democracy and voting rights advocacy group, 43 states use at least some machines that are more than 10 years old. It strikes me as odd that at the same time their President – Donald Trump – is claiming massive voter fraud, House Republicans on the House Administration Committee are advancing legislation to eliminate the very commission which helps ensure that voting systems are secure, accurate, and accessible. We received reports that dozens of state voter registration databases were subject to Russian hacking attacks last year. Eliminating the Elections Assistance Commission means these state and local jurisdictions will be less prepared to prevent efforts to delegitimize or disrupt our elections. Efforts to dismantle the Election Assistance Commission are seriously out of step with the current U.S. election landscape. At a time when the Department of Homeland Security has designated election systems as part of the country’s critical infrastructure, election officials face cybersecurity threats, our nation’s voting machinery is aging and there are accusations of election irregularities, the EAC is the only federal agency bridging the gap between federal guidance and the needs of state and local election officials. The bill would still have to pass the House and Senate before it reaches the president’s desk, so Senate Democrats may filibuster the effort.